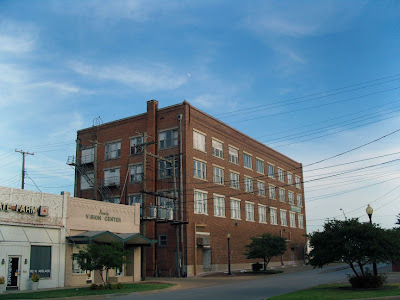 The builidng pictured was at one time housed the McCory Nickel and Dime store on the first floor. The Second floor housed a clinic/hospital owned by Dr. Friddell. I think the third floor was a series of offices. I got thirty two stiches in my head on that second floor in 1943.